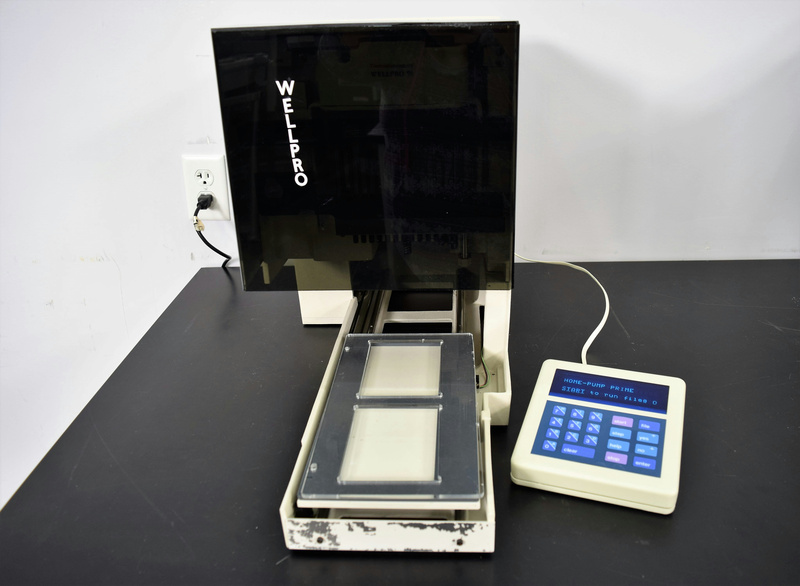 Thermo LabSystems Wellpro 96 Microplate Liquid Handler Dispenser Sample Prep . New Life Scientific, Inc. This unit can perform serial dilutions and can precisely mix the contents of a microplate. It has a plexiglass hood and can handle plates with up to 96 wells. Comes with a controller and cabling needed to operate, a cycle was run and all the robotics operated smoothly. This would be a great addition to any lab. Our on-site New Life Scientific technicians visually inspected and initialized the unit. They verified that the unit is functioning properly, the robotics, and the controller are working and no problems were found.